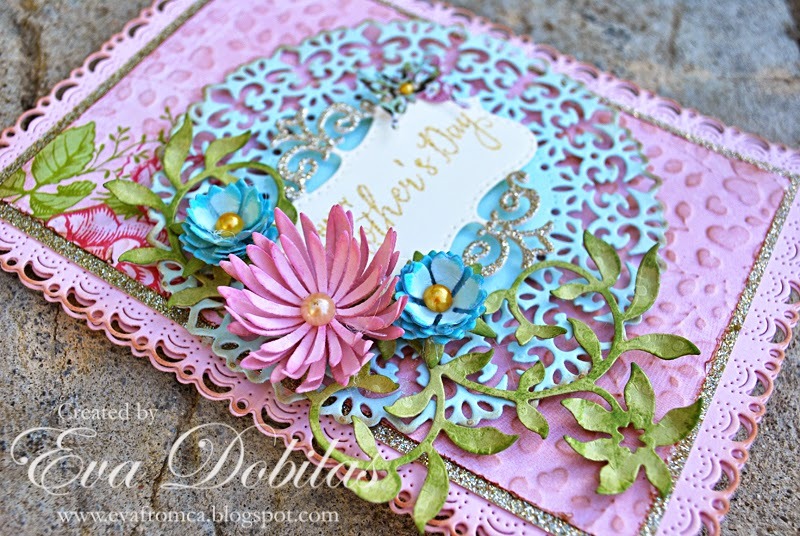 Hi there, I am up on the Cheery Lynn Designs blog today with a pretty Mother's Day card using this week's challenge theme! To start my card I used the Horizon Rectangle Boutique Stackers Frame to create my card base out of pink card stock. 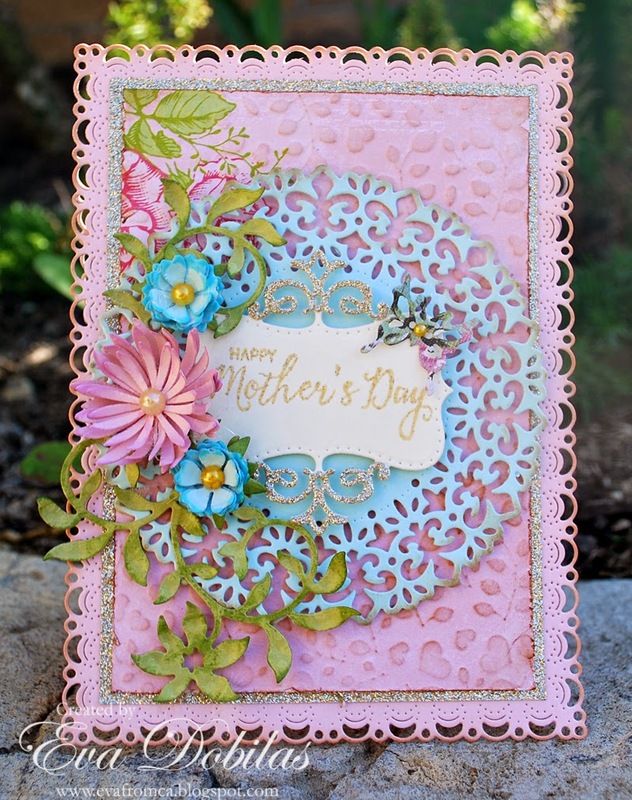 Than I found a pink patterned paper, which I cut to fit inside the card base and embossed with the Hearts and Rose Leaves Embossing Plate and layered it on a gold paper. I than die cut a gorgeous Fleur De Lis Doily out of light blue card stock. Also die cut a Royal Scandinavian Tag 2 out of cream color cardstock. Also die cut the pretty flourish pieces that come in the same tag set out of gold paper and adhered it on top of the cream color tag and finally gold embossed my Mother's Day sentiment which came from JustRite Papercraft's Best Wishes Clear Stamps. And of course since it's a Mother's day card, how could I not add flowers? I created a beautiful Chrysanthemum and two cute Sweet Christine flowers. I also added the brand new Leafy Flourish. Finally I aded a cute butterfly using Mini Butterflies with Angel Wings. Thanks for stopping by and good luck to everyone for entering our Weekly Challenge with a chance of winning a $20 spending spree here is Cherry Lynn Designs.